The Shield of Achilles, prestigious polychrome bronze inspired by the eighteenth Iliad, Homer. 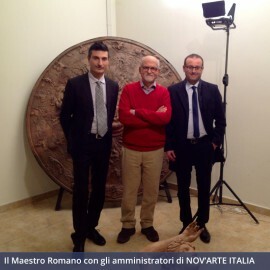 It’s the most important work of master Romano, international artist and one of the most significant of our time, and acquired by the Italian President, Hon. Francesco Cossiga by the National Gallery of Modern Art in Rome for the Quirinale Palace in 1990. 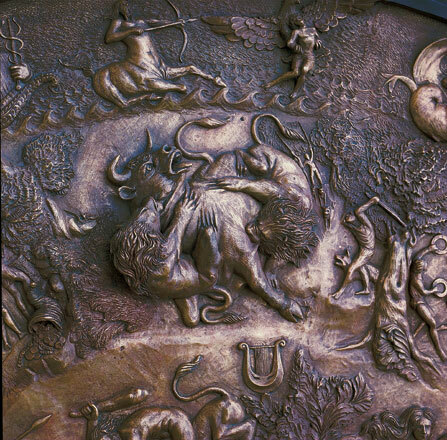 This extraordinary work in bronze was made with the ancient technique of lost wax casting and melted in the millennial Pontifical Foundry Marinelli in Agnone. 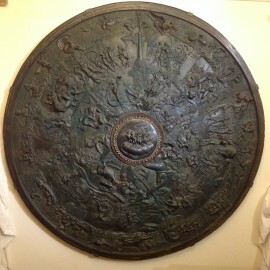 The great attention to detail and expertise of the production technique, make this one of the finest bronze sculptures in the world, considered by many experts as the culmination of the artistic expression of the master Alessandro Romano. 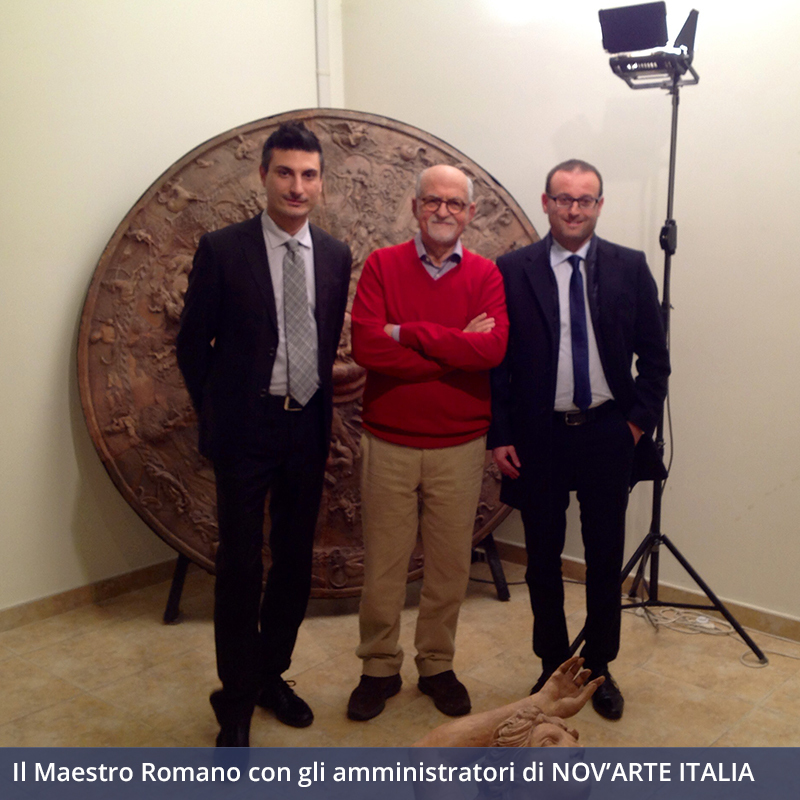 Nov’Arte Italia, in very exceptional way, offers to a few individuals to have access to the greatest masterpiece of the master Romano. 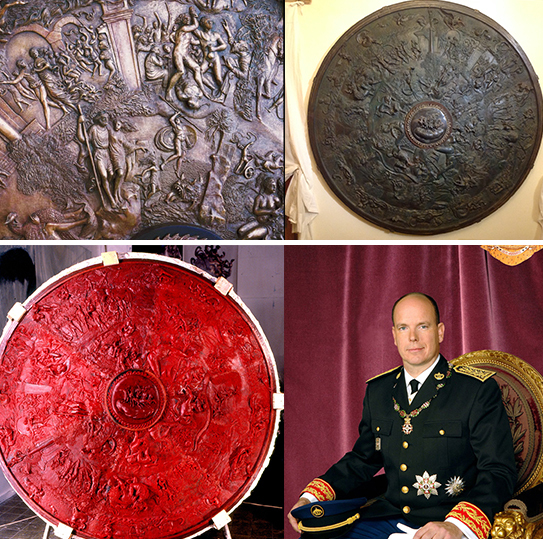 Currently there are only 5 copies in the world, two of these are already exposed at the Auditorium Rainier III of Monaco and at the Quirinale Palace. 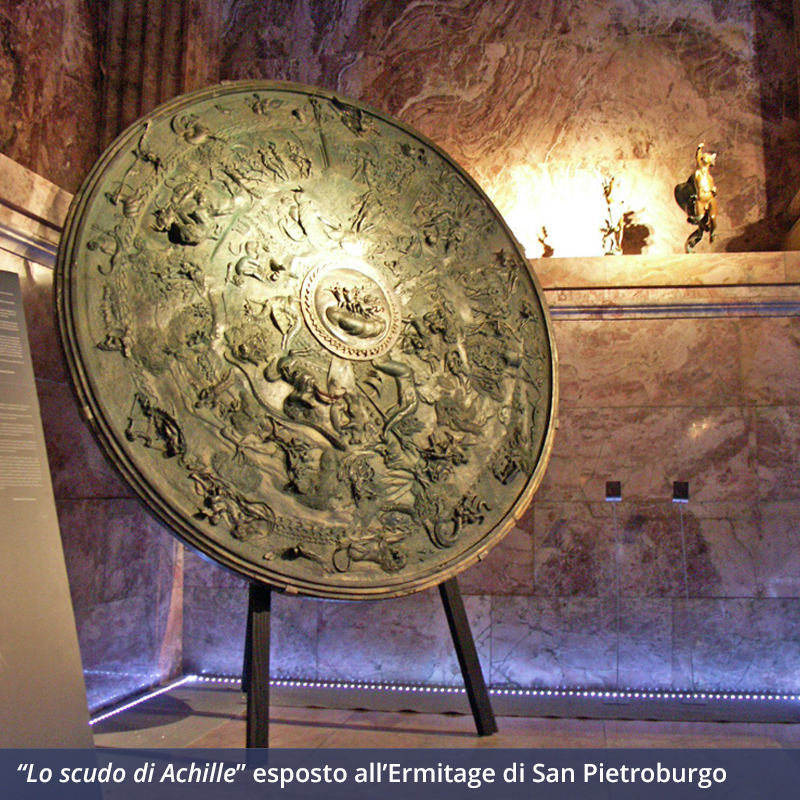 The Shield of Achilles is one of the masterpieces by the artist Alessandro Romano, sculptor of international renown and among the most significant of our time. The work, the result of a labor “mad and desperate”, follows an important trip, a pilgrimage in the ancient Hellas and in Ancient Greece. 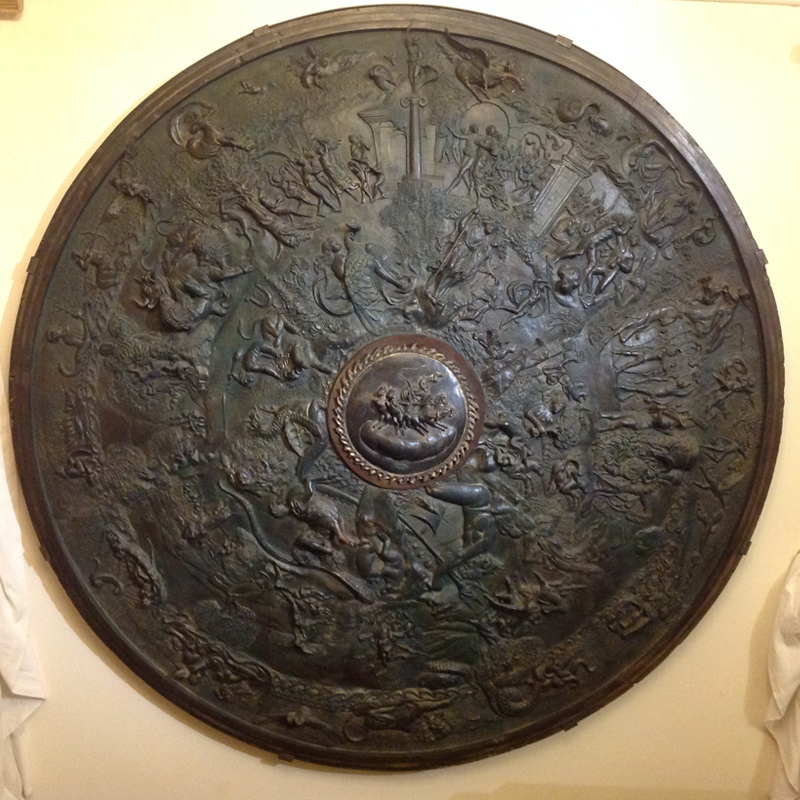 Previously master Romano had thought about the creation of another shield, to Aeneas; he had recently assumed the stage name of “Roman” and the hero of Virgil appeared directly related to the ancient tradition of the Capitoline; but contact with the works of the Greek and the lesson of the artist Fidia more closely resemble the classic Homeric. 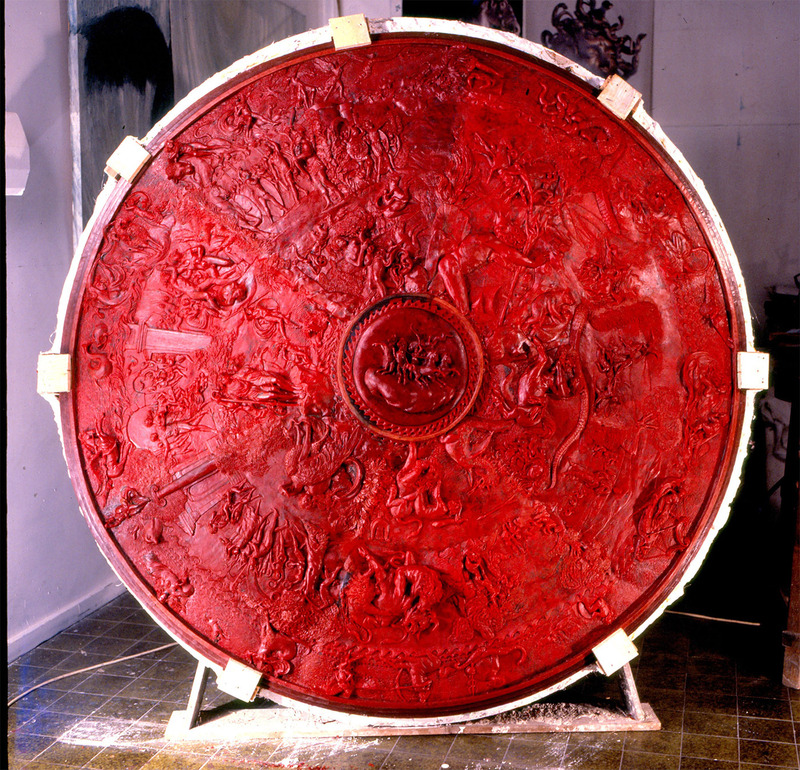 Thus began the design and implementation of a sculpture that is above all the realization of the first ekphrasis (literary description of a work of art) that we witness. 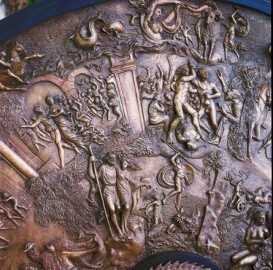 The work starts right from the verses of the Iliad: Thetis, mother of Achilles, is by Hephaestus forge new weapons for her son; God carves well on the shield a faithful representation of the society of the time, in which the various stages of life unfold like a fluid narrative through the depiction of weddings, quarrels in the square, wars and ambushes. In the outer part, then, they are represented earth, sea and sky, and all around the river Ocean, which in Homer is thought to surround the earth. 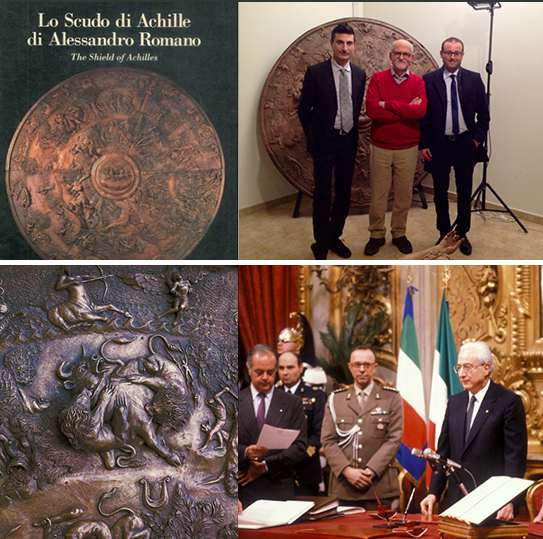 As Hephaestus, god of fire that creates and shapes the precious armor, Alessandro Romano produces in his forge his masterpiece, wonderfully true to the original literary, but full of strength that only the conscious modernity, that has now well metabolized the past, can unleash. 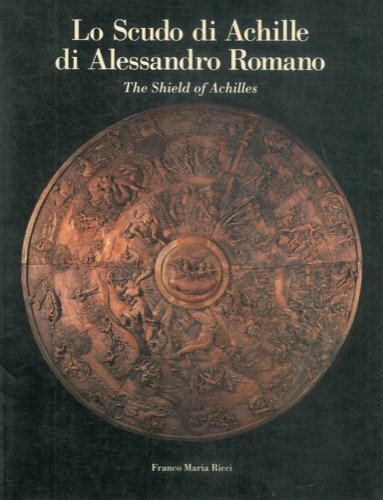 As said Francesco Sisinni “work, this, which is entrusted with a very high message: averse fate of the announced, inexorable death is the certainty that the Fair can not die.” Extraordinary, in this sense, the allegory of death, included in the composition of the Shield of Achilles but also operates a separate study of this master’s Trastevere (where it also preserves the original terracotta shield): two lions attack a bull falling, dying. 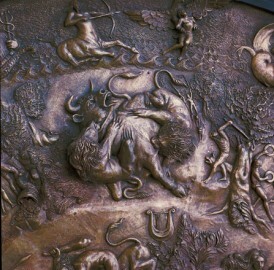 A sculpture, a bronze object (static by definition) that is both jump, ambush, falling, fighting and violence of animals; a representation of death obtained by the exaltation of the vital energy, the impetus to dominate the lions and the instinct to survive bull. 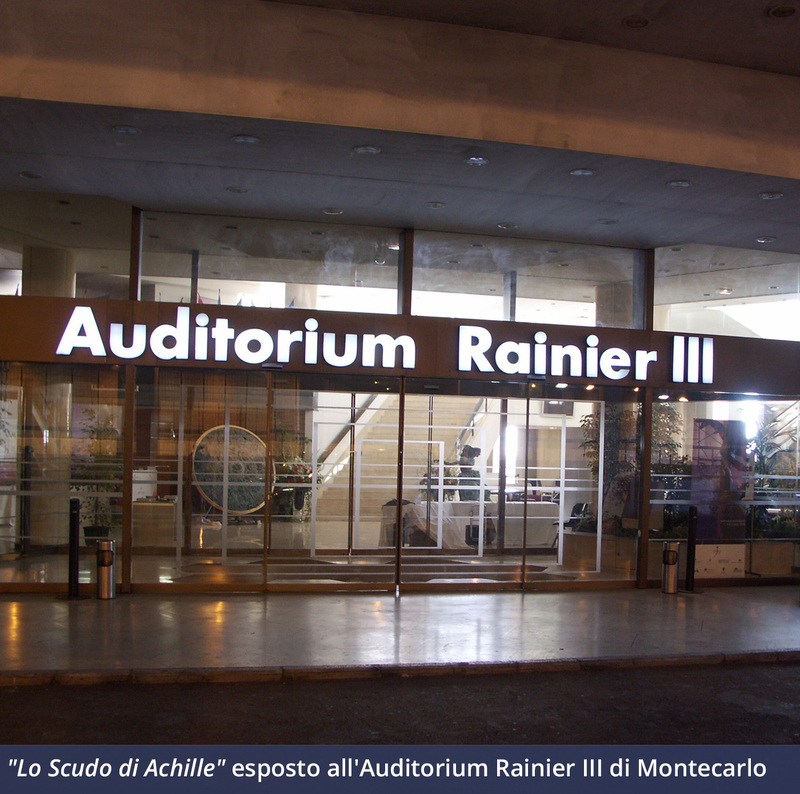 This approach to the mythology was the first approach of Alessandro Romano to “Sacred”, and now extends to major commissions of sacred Christian art that, as stated by the master himself, is “the highest form of art that ‘ man can reach “: since 2004 it has started an extraordinary project that involved the construction of four monumental sculptures in white marble from Carrara Michelangelo inserted in the external niches of St. Peter’s Basilica. 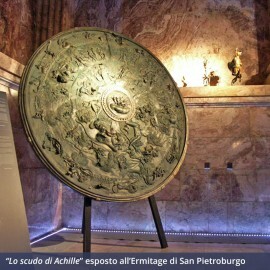 The work was also the subject of a famous literary publication, “The Shield of Achilles Alessandro Romano” by Franco Maria Ricci Editore, written by a famous art critic Giuseppe Gatt.